April 28, 2017, 9:59 a.m. The Axel Springer-owned app gets an automatic leg up across Europe from being pre-installed on new Samsung phones, but can it now keep enough of those users interested in order to sustain itself on advertising alone? By Shan Wang @shansquared April 28, 2017, 9:59 a.m.
What happens if you preinstall a news app on millions of new Samsung phones in Europe, in the way that Apple “gifted” U2’s 2014 album to unsuspecting iTunes users? It appears so far that people have responded much better to that offering than iPhone users did to the much-maligned U2 giveaway. 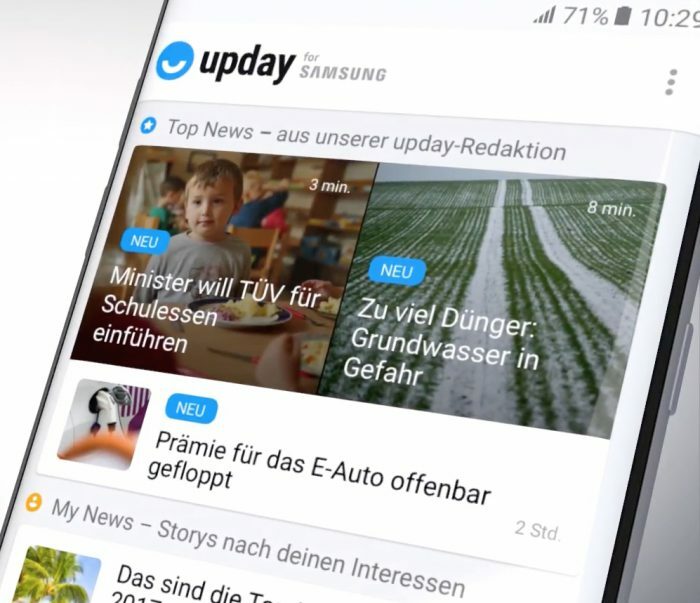 News aggregator app Upday, an Axel Springer brainchild on which the company has placed big hopes for European ubiquity, comes already installed on new Samsung — and only Samsung — smartphones in Germany, France, Poland, and the U.K. The app boasts more than 8 million unique monthly users, according to Upday editor-in-chief and chief product officer Jan-Eric Peters, thanks in large part to that exclusive arrangement with Samsung. The app will now also be preinstalled on Samsung’s new S8 phones, which become available on Friday in Europe, and expand into 12 additional countries, broadening its Android-only domain. The app itself has two components: a top news section maintained by journalists who select top stories and which news organizations to link out to, and a personalized section determined by an algorithm the Upday team built that serves up stories based on a user’s reading history. Upday positions itself as a platform through which any publisher can distribute stories — an Apple News counterpart for Android that is up against the likes of Google Newsstand and Flipboard — and sees itself as a more open alternative that just takes various publishers’ RSS feeds, then rewards them with respectable mobile traffic and ad views. About 3,000 publishers’ feeds, vetted by a “content quality team” for technical criteria such as whether pages are mobile-optimized, will be available through Upday with the expansion. Peters has also been negotiating with other publishers who have hard paywalls, to get some of their stories into Upday as well. Sweden’s Svenska Dagbladet has already been integrated so that Upday users won’t be hitting the metered paywall. Newsweek Polska is in process of integrating a separate RSS feed. An Italian paywalled daily will be added sometime in May. Peters would not disclose on the record what percentage of users who automatically got the app on their phones continued to use it on a regular basis, nor did he share the terms of the deal with Samsung. But from the outside, there appears to be continued investment and confidence. Upday doubled its editorial staff to 50 journalists, spread throughout eight cities (Berlin, London, Paris, Warsaw, Milan, Madrid, Amsterdam, and Stockholm) who can deal with the various languages spoken across Europe (Upday itself doesn’t do any translation). It has 40 additional staff among developers, sales, and management. Readers click into around 5 to 10 percent of articles to read the full story on the publishers’ page, Peters told me, and Upday has sent more than 3 million visits to publishers based on metrics from the four initial countries Upday launched in. Peters also said that most of the “quality media” from the app’s main countries are starting to see between 3 to 5 percent of their total mobile traffic coming from Upday, with the occasional publisher getting up to 20 percent of its mobile traffic from Upday. Peters wouldn’t specify which publishers were getting the highest referrals, but said generally that it was the well known brands “who have their base in the digital world.” He did mention HuffPost and Business Insider (which is owned by Axel Springer) as publishers that were getting good traffic from Upday. Upday itself is not yet a profitable venture but clearly has quite a bit of runway is planning to generate revenue entirely through advertising. Ads will appear within the Upday stream, and Upday will take 100 percent of the revenue. “We have to prove this works, but we are optimistic,” Peters said. I wondered aloud whether, in the long run, this bet on Samsung phones would lead to a cap on Upday’s growth — Samsung phone sales were weaker in Western Europe at the end of last year, according to Gartner, and analysts predict this fall’s iPhones to be blockbusters. POSTED April 28, 2017, 9:59 a.m.
Wang, Shan. 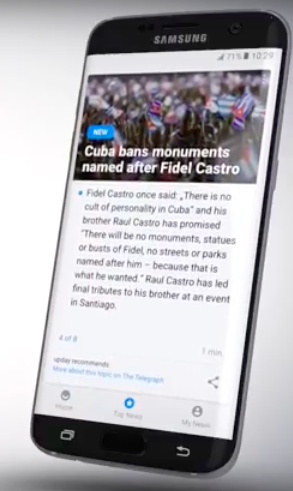 "News aggregator Upday, a sort of Apple News counterpart for Android, expands into 16 countries." Nieman Journalism Lab. Nieman Foundation for Journalism at Harvard, 28 Apr. 2017. Web. 24 Apr. 2019. Wang, Shan. 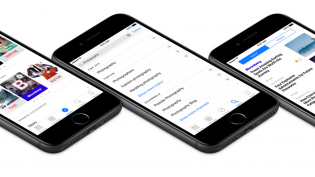 "News aggregator Upday, a sort of Apple News counterpart for Android, expands into 16 countries." Nieman Journalism Lab. Last modified April 28, 2017. Accessed April 24, 2019. https://www.niemanlab.org/2017/04/news-aggregator-upday-a-sort-of-apple-news-counterpart-for-android-expands-into-16-countries/.